Newshub looks at the realities of upping sticks and leaving the big city. This week: Invercargill. 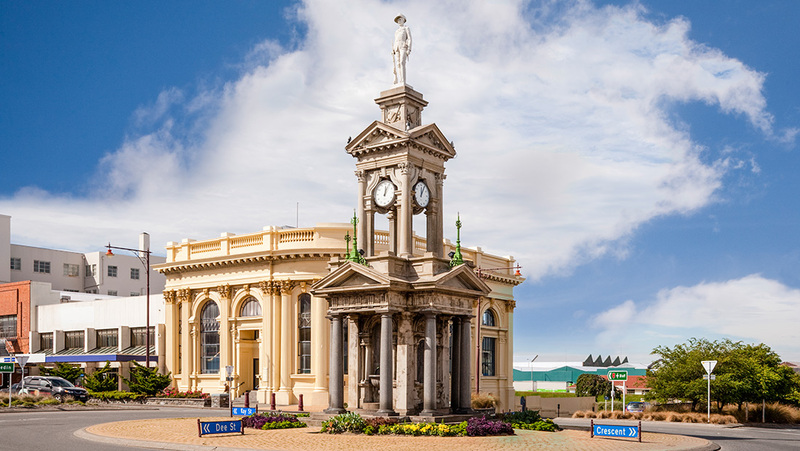 It's home to more than 50,000 people, but Invercargill still carries a small-town vibe. Maybe that's because that population spreads across 389 square kilometres of farmland and township, larger in land-size than Wellington. It's got everything you need but no more - and everyone is a friend of a friend. It's the people that make this place, with their curiously contagious rolling R's and can-do attitudes. If you want a better idea, watch The World's Fastest Indian - based on the true story of Invercargill world-record holder Burt Munro. It's set back in 1967, but really, not much has changed. In summer it stays light until after 10pm and the main streets are 40m wide. You'll have space to breathe. It's just so far away. It's the westernmost, southernmost city in the country, and the weather won't let you forget that with summer temperatures averaging 18degC and 9degC in winter. You also can't buy alcohol in supermarkets thanks to local council laws. Local celebrity Mayor Tim Shadbolt says: "Invercargill is a great city to raise a family with affordable housing, excellent schools, zero fee tertiary education as well as an accommodation bursary. "We also have brilliant infrastructure, with a new airport, a state of the art water purification plant, brilliant sporting facilities and a fully restored 1000 seat Civic Theatre for the arts. "Invercargill is a friendly city with a relaxed lifestyle." Invercargill's nightlife brings together an odd collection of young and old rural and city beings - and a mechanical bull - to the Waikiwi Tavern. The young crowd split off to BarLuca to hit the dance floor while the more mature party-goers head to The Kiln for cocktails and live music. The Lonestar, a family restaurant in most towns, is Invercargill's final destination for most nights out. The Northern Tavern offers a change of pace and a quieter spot to genuinely catch up with friends. The 110-year-old Civic Theatre still serves as the cultural heart of the community. It plays host to a variety of performances, covering everything from food masterclasses to travelling musicals to local school performances. The red-brick Water Tower is hard to miss standing high above the mostly low-lying city centre - but much less interactive now its doors have shut to the public. But just across the road is Queen's Park, a sprawling 81 hectares of gardens, golf courses, fountains, wildlife, bush tracks and playgrounds. You'll be in a prime spot for the annual Oyster Festival in Bluff, only a 20-minute drive - but it won't really matter, because they're served fresh in local fish and chip shops year-round. The bright and airy Batch Cafe is the place to be, with lines commonly out the door. But be warned if you're after a quiet cuppa - you'll likely run in to at least one person you know. A newcomer to the scene, Auction House, is also a great spot. Both are located in the town's centre, where pocket change still comfortably covers your parking meter. The median house price is $262,100, according to the latest QV figures - one of the lowest averages in the country. There's a number of local primary schools around the city and the good ones have years-long waiting lists, so get in early. James Hargest College is the largest secondary school with nearly 2000 students, with Girls and Boys High close behind. How well connected is it? The city is gateway to some unconventional places, perfect for those who value a view over a shopping trip. Rugged cliff tops and waterfalls are less than two hours away in the Catlins - head to Curio Bay to swim with the dolphins. Catch the ferry from Bluff and visit Stewart Island, New Zealand's third-largest island which only a few hundred people call home. World-renowned Milford Sound is also only hours away by car, making for some pretty epic school-trips for the kids. But in terms of New Zealand's centres, Invercargill is largely self-contained. Flights in and out of the city are also pretty pricey.